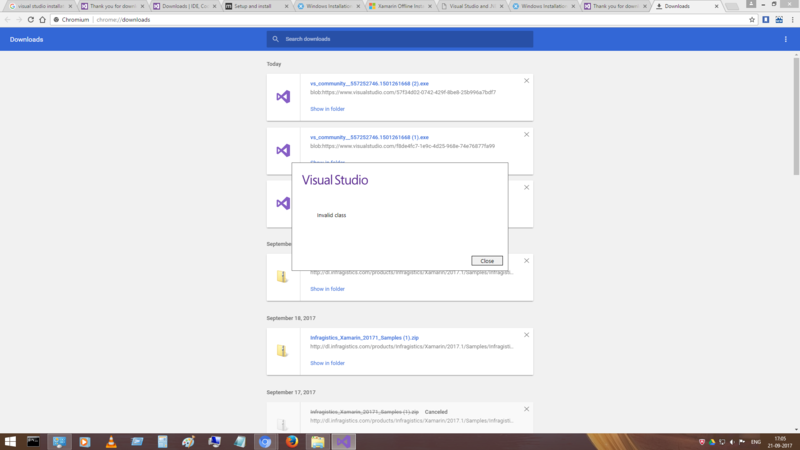 I am trying to install vs 2017 with xamarin but getting error. Ideally make a offline installer as shown in post below and make your life easy. TIP: With offline installer do NOT forget to install all the Certificates (there is a folder by that name), before you hit the setup.